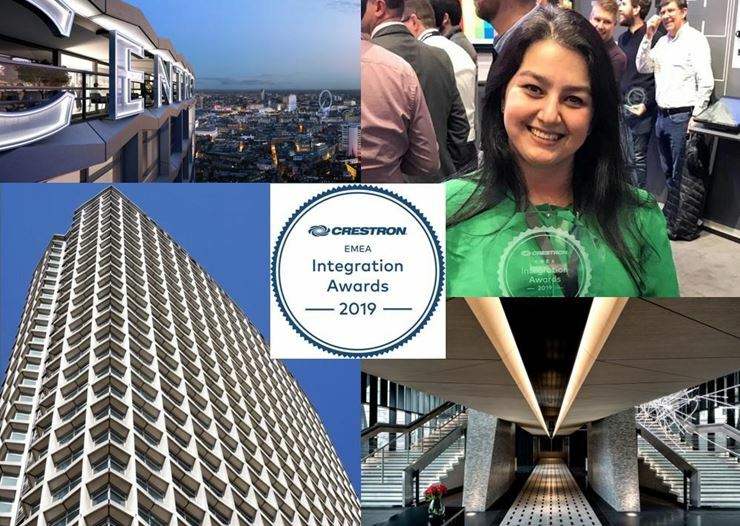 We are delighted to announce that Smartcomm is the winner of the #Crestron 2019 #IntegrationAward for the Ultimate Multi Dwelling Unit, for our project on the utterly stunning Centre Point Residences. The annual Crestron award scheme recognises excellence in control and automation projects featuring Crestron solutions throughout the EMEA region. The iconic Centre Point development in London hosts a range of luxury apartments. Smartcomm ensured the apartments within this 34-storey building included a state-of-the-art and high-spec Crestron smart home system to complement the sleek and modern design. We would like to thank all those at #Almacantar for their help and support and to #Crestron for recognising us in this way. We would also like to congratulate #CliveMosby and all those involved in the project and award at Smartcomm.